Once you are done with your rental, please use the EASY form below to schedule your dumpster pick-up. 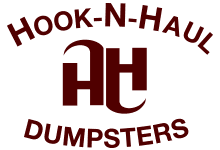 If received before noon, most dumpster pick-up requests can be scheduled for the following day. All pick-ups will occur during normal business hours (7a-dark), Monday-Friday. PLEASE NOTE: Any pick-up requests received over the weekend will be serviced on the following Tuesday as we will not receive them until Monday morning.